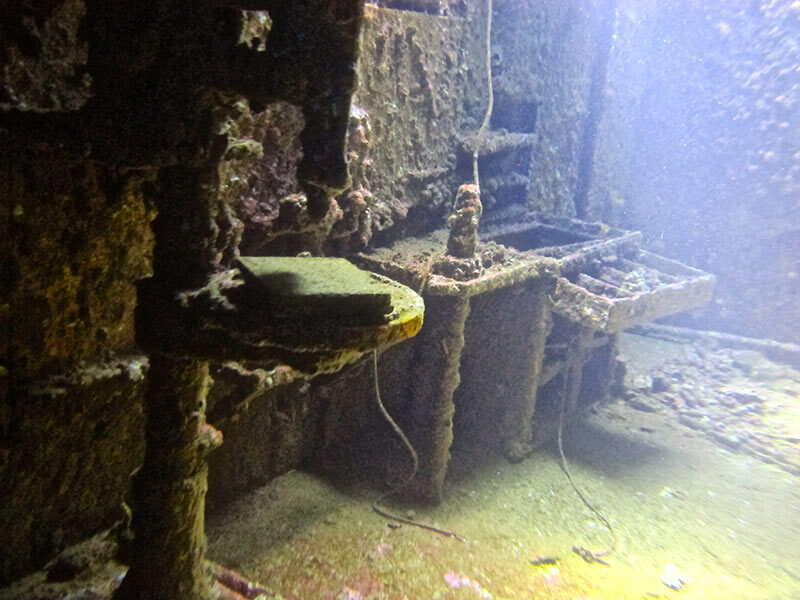 The SS Thistlegorm is probably the most famous wreck in the Red Sea. The British cargo ship was on its way to bring military equipment of all kinds for the British troops in North Africa. But then on the 6 th of October 1941 a German bomber attacked the Thistlegorm. The wreck is lying upright on the sea-bottom at 32m depth. Especially interesting is the cargo: Tanks, trucks, motorcycles, weapons, railway carriage and two railway engines. The reef at Abu Nuhas is famous for wrecks. There are 4 wrecks, which are today an attraction point for divers all around the world. For example the Greek cargo ship GIANNIS D, which ran aground the reef on 19 th April 1984 and sank a short time afterwards. It is now lying in a maximum depth of 27 m and is overgrown with hard- and softcorals. The ship cracked down in the middle. The better part of the two halves is the stern section. 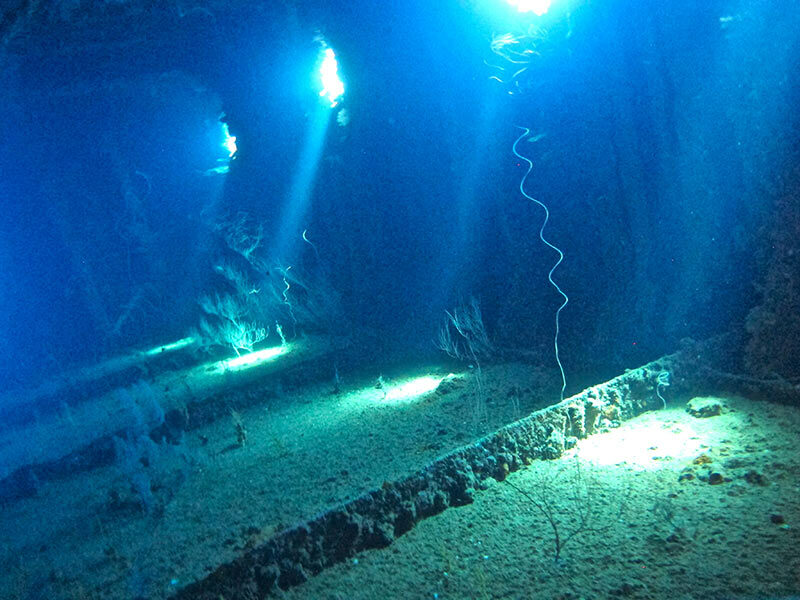 Here it is easy to dive inside the wreck, because there are a lot of entry and exit points. Because the wreck is leaning on a 45° angle you will find yourself swimming up a stairwell which your mind tells you are heading down. This effect is very special. The steamship CARNATIC struck the reef in September 1869. She sank the following day as the weather worsened. She lies in about 26m depths. She has broken up amidships, leaving her bow and stern intact. The decking has fallen away to be replaced by a thick growth of tube sponges, alcyonarians and occasional table corals, making her very photogenic. She is also laid open to light from above and is easily penetrated. The Dunraven, a steam and sail-powered vessel used to transport spices and timber, ran aground the reef Shaab Mahmoud in April 1876 during a voyage from Bombay to Newcastle and sank quickly. The ship broke in two, and her two halves came to rest on the sea floor. The wreck lies upside down with the stern at a depth of 28m and the bow at 18m. At the stern you find the propeller and the rudder, which are overgrown with corals. Inside the wreck you see thousands of glassfish. The SS Turkia was built by Earles Shipbuilding and Engeneering Co. in Hall (England) in 1909. The steam cargo ship named Livorno before with a length of 91m and width of 13m and 1671 tonnes was used for a variety of trade routes in England and North Europe. Between 1920 and 1935 the ship was sold to Greece and they named it SS Turkia. In May 1941 the SS Turkia was on its way from New York to Piräus. The government cargo included explosives, gyres, coils of wire, ingots, vehicles and firearms. 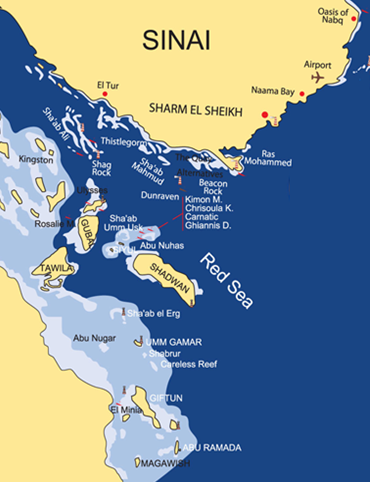 Close to the Channel of Suez it sunk cause of two different stories: fire on board and/or hit by a bomb. In a depth between 10m and 24m, full of soft and hard corals, it is a great experience for divers to discover the wreck from outside and inside. The tour descriptions (dive sites) are samples. 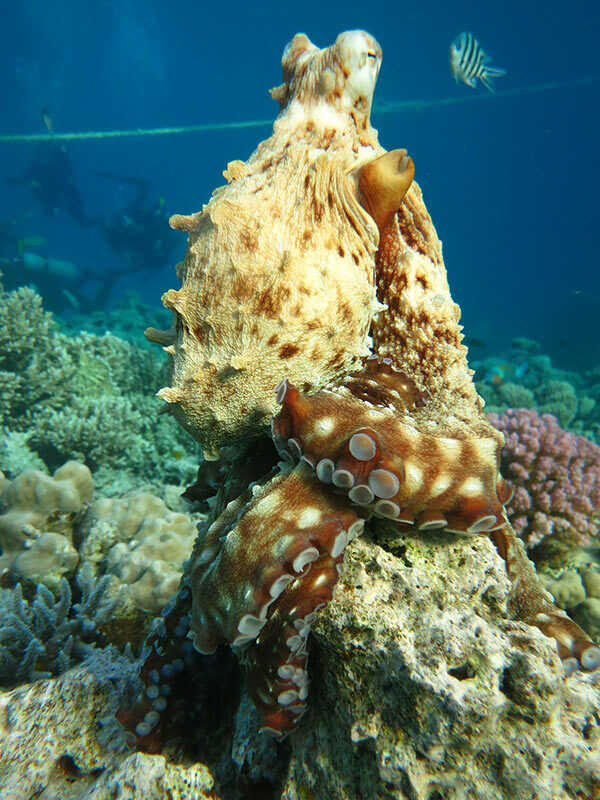 Depending on the weather conditions and the quality of the divers other dive sites can be choosen. The high standard level on our boats means a lot to all of us – we keep continuing maintenance on our boats. Legal requirements as well as regular quality management to point out only some things as our success. There for we want to thank all our guests joining since many years their diving holidays with Golden Dolphin Safari World for their constructive critics, ideas and suggestions – we are grateful as it gives us the chance of being better!